If you’re looking for an eco-friendly car in the Savannah area, you’re probably thinking of getting a Prius. But do you need a simple conveyance, or a fully loaded vehicle with all the luxuries? 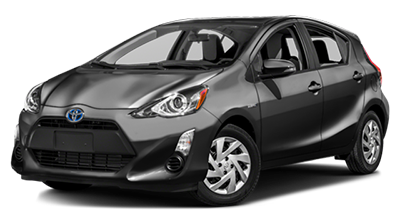 Check out what you’ll get on each trim level of the 2016 Toyota Prius, now available from Savannah Toyota. The base Prius Two trim level starts with a 1.8L 4-cylinder engine that’s paired with two electric generator motors. This power train system uses a uniquely designed continuously variable transmission that’s electronically controlled to produce up to 121 hp. When you press on the brakes to slow down, one of the electric motors feeds into the generator in order to keep the hybrid battery charged. This engine gets up to 54 mpg city and 50 mpg highway. This trim level comes with plenty of features. On the outside, you’ll get heated mirrors, along with automatic LED headlights and running lights for a brighter light with less energy use. The inside boasts two 4.2-inch driver information screens and a 6.1-inch touchscreen display for your rearview camera and six speaker audio system. You’ll also get keyless entry and ignition for your convenience, plus automatic climate control. 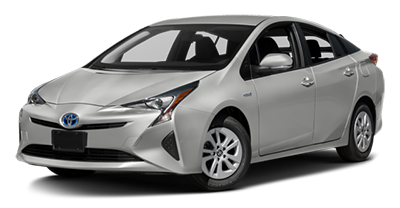 The Prius Two Eco trim level is even more eco-friendly than the base trim level. You’ll get ultra low rolling resistance tires with two tone wheel covers for more ease in driving, as well as a lighter Li-ion battery for a smaller curb weight. Rather than a spare tire, the lightweight inflation kit keeps you going. These and more improvements get you an impressive fuel efficiency of 58 mpg city and 53 mpg highway. 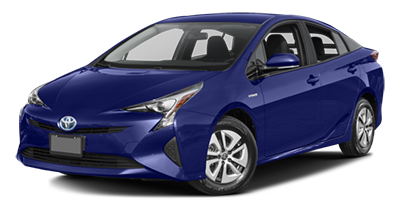 The Prius Three trim level adds more luxury. You’ll get a leatherette armrest trim and steering wheel, along with white interior accents for a light and airy look inside. There are more gadgets for your convenience, such as a wireless Qi charging phone pad. You’ll also get the Toyota Entune premium app and infotainment suite with a 7-inch touchscreen. This app suite includes features like real-time turn-by-turn navigation with traffic and weather data, as well as satellite radio and HD sound, plus streaming radio apps like Pandora and IHeartRadio. You’ll also get data feeds like fuel prices, sports scores, stocks, and more, as well as utilities like OpenTable and Yelp for restaurant and venue information. 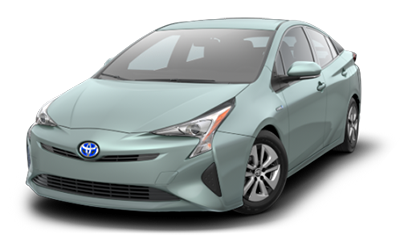 The Prius Four trim level adds driver awareness and safety features, like a blind spot monitor with rear cross-traffic alert. You’ll also get leatherette upholstery with white accent stitching, along with comfort features like a power driver’s seat with adjustable lumbar and heated front seats. Finally, you’ll get storage options like seatback storage pockets, as well as a rear cargo cover. When you get the Three or Four, you can upgrade to a Touring package. This adds foglights and LED clearance lights, as well as unique interior trim. You’ll also get the Toyota Safety Sense package, which adds adaptive cruise control with a pre-collision warning system, and lane departure warning and intervention. You can also opt for a sunroof, a driver heads-up display, and a 10-speaker premium audio system. Are you ready to let a Prius into your life? For a test drive, contact Savannah Toyota today! Call us at (912) 927-1234 or come see us at 11101 Abercorn St, Savannah.